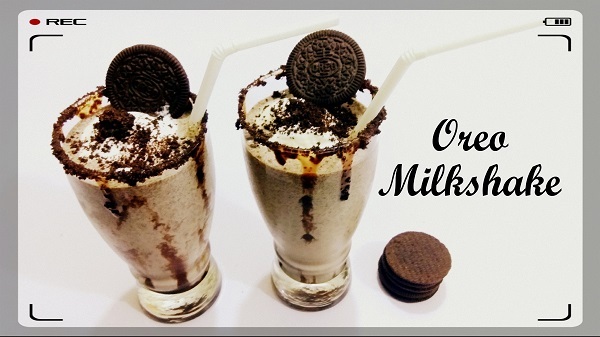 This delicious Oreo Milkshake is very easy to make, and kids favourite dessert. It can be made in just 10 minutes with three ingredients – Oreo cookies, Milk and Vanilla Ice cream. You should try this easy and tasty Oreo Milkshake. In a mixer jar – add Ice Cream, Oreo Cookies and chilled Milk. You can add whole cookies or break cookies and add. If you want this milkshake to be smoother, soak Oreo cookies in chilled Milk for 5 minutes. Decorate serving glass with Chocolate Syrup and Oreo Crumbs (Check Video) to make it more attractive. Pour the Milkshake into serving glasses. 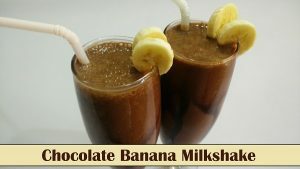 Add 1 scoop Vanilla Ice Cream in each glass.